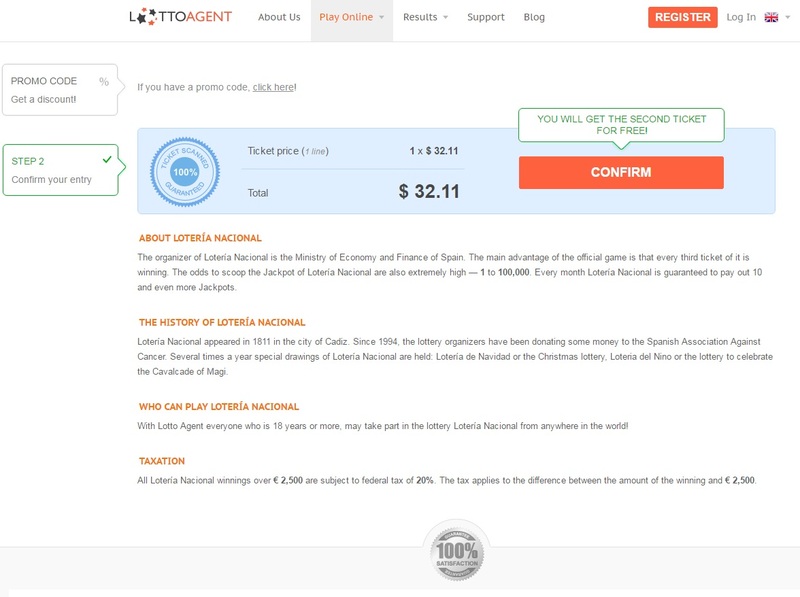 Lotto Agent is an international company which allows users from anywhere in the world (even from Antarctica!) to play 20+ largest official lotteries in the world from the USA, Spain, Italy, Australia and even Brazil. The company, which is located in Malta and has a network of local offices around the world, works this way: Lotto Agent cooperates with official sales points in different countries and acquires tickets of the best-known public lotteries on its users’ behalf. What are the main Lotto Agent strong points? Variety of local and international payment methods. If one plays with Lotto Agent he or she is sure to receive а large number of advantageous bonuses and gifts. Lotto Agent welcomes each new user by giving him some bonus dollars in order he could make an entry for free. The perfect way to play for free is to invite a friend, neighbour or a colleague to play. In order to get a discount of up to 20%, the player just needs to pick more lines in the ticket. Lotto Agent pampers its new and regular users with discount promo codes sending them by email. Top Lotteries: Powerball, MEGA Millions, El Gordo de la Primitiva, La Primitiva, SuperEnalotto, SuperEnalotto Superstar, EuroMillions, EuroJackpot. Easy and Perfect Odds: BonoLoto, SuperLotto Plus, New Jersey Pick-6, Lotto Texas, New York Lotto, UK Lotto, France Loto, Lotto 6 aus 49, Mega Sena, Powerball Australia, Lotto 6/49. Special Offer: Tremendous monthly draws by Lotería Nacional. Register. Please enter your real name. Confirm your email after the registration. Login and make an entry. Pick any lottery on the site, decide on the number of lines in the ticket and mark the numbers you hope to be winning. Confirm your entry. Press the “Confirm” button and pick any payment option you like. There are a lot of them on the site for your convenience. After your ticket is purchased, you’ll get the email with the invitation to check the scanned copy of your ticket. If you wish to play your favorite lotteries with Lotto Agent, today is the perfect day to get started.